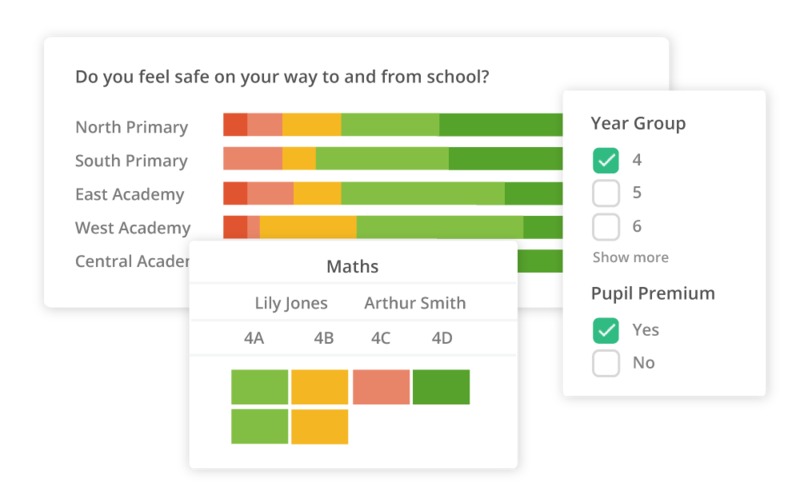 "This is one of the best things we've done in terms of having real impact on learner outcomes and helping schools take improvement actions." Instead of helping you work towards common goals, surveys become an extra burden on a growing to-do list. 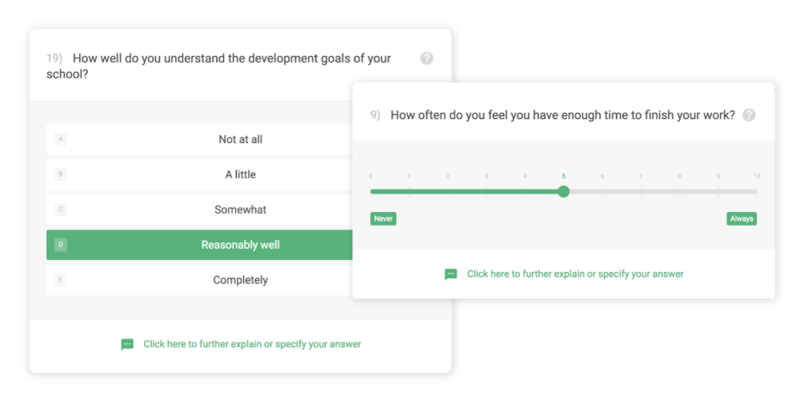 One-time surveys: either a huge project for a small central team or duplicate effort and wasted resources for each school. Different questions, formats and goals—without a shared survey process, everyone misses out on the core benefit of a trust: learning from each other. Feedback gathered with a purpose: to guide decision-making and track progress towards important priorities like school improvement, safety and teacher retention. Shared survey content, distribution and analysis that cuts workload while giving you more feedback more often. With a common survey process and strategy, everyone benefits from feedback—sharing best practice and addressing needs as you grow. The Edurio Staff Working Conditions and Wellbeing survey measures the key factors that lead to improved staff retention in schools. The survey is used by over 300 schools across England and offers national benchmarking of your results. Edurio’s Impactful Parental Engagement surveys compile research learnings on the most important parts of parental engagement and ask parents and teachers about their mutual trust and respect, expectations they hold, parental support for learning, and the schools’ parental engagement policies. Our Successful Governance surveys collect feedback from governors and school leaders to help improve the efficiency of governance by exploring the clarity of roles and responsibilities, meeting and communication channel efficiency and governor competencies. Quickly and easily collect feedback from students, parents and teachers. Make sure everyone on your team benefits from survey responses with dynamic, shared results. Monitor changes in stakeholder perceptions over time. United Learning have an ambition to use stakeholder feedback more strategically and transparently throughout all of their schools. Edurio has supported them in implementing a process that delivers valuable insights to school and trust leaders. 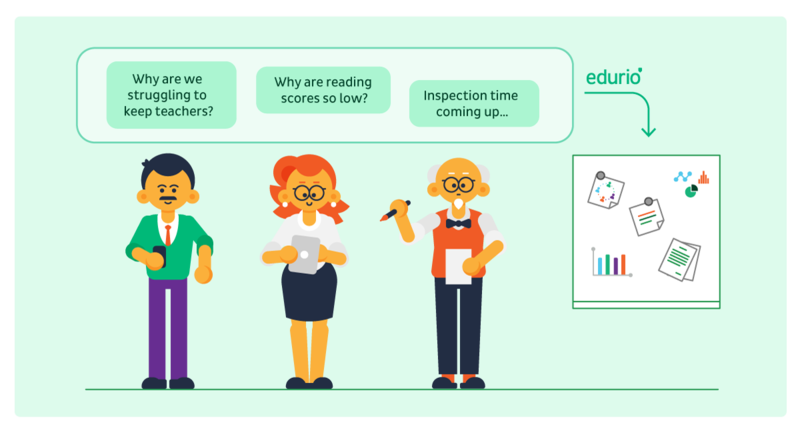 Hear from the United Learning team about how they use feedback for continuous improvement and how Edurio makes it possible. Want to learn more about how we work with multi-academy trusts? We would love to hear about your school improvement goals and see how we could help. Please contact edurio@edurio.com﻿ and a member of the team will be in touch soon. We believe that in order to improve education, it is critical to understand the unique perspectives and experiences of pupils, their parents and members of staff. Our team of education and design experts has developed industry leading research-based surveys and a unique survey and analytics platform for MATs. We are working with over 350 schools across England to use stakeholder feedback more strategically and improve the quality of education they provide. 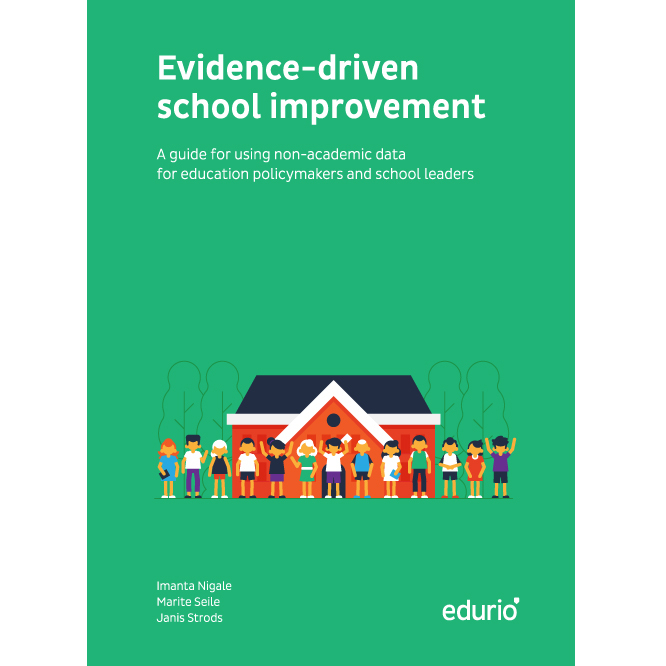 Our step-by-step book aims to guide policymakers and school leaders in school-led, evidence-based improvement by providing a set of tools for gathering the right data, making evidence actionable, and establishing a culture of collaborative inquiry. Edurio was founded in 2014 by Ernest Jenavs, Janis Gribusts and Janis Strods and has a passionate team of 20 with experience spanning education, data analysis, software development and design.